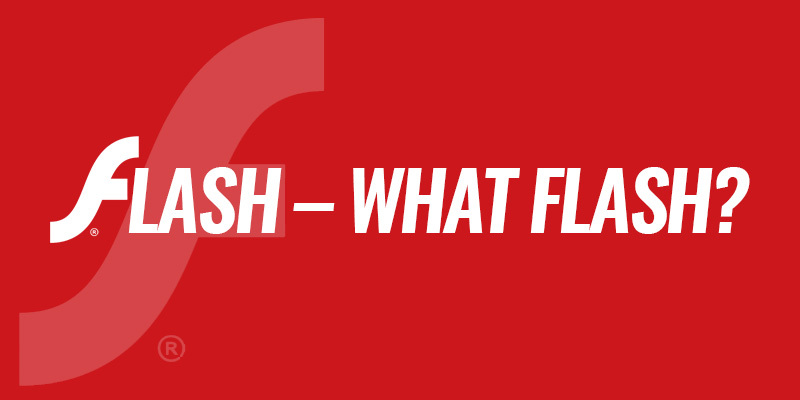 Flash – What Flash? | Sharp Innovations Blog | Sharp Innovations, Inc.
Adobe (the company that owns Flash) – has announced that even they are going to stop supporting it in 2020. What does this mean for you as a person or a business who has a website? Well, as time goes on between now and then, you will see that Flash elements on a website are not working anymore. Does this mean no more fancy movie clips and no more interaction between clients and your website? No, it’s actually quite the contrary. With modern programming techniques, we are able to do the exact same things, and even more. The new technology that we use is faster than Flash, works better than Flash, and doesn’t require people to download a plug-in like Flash does. Therefore, this new technology allows more people to use those portions of your website more easily and more quickly than before. All of that being said, as the new generation of web designers and developers starts making their way through school, in about 10 years from now, they will be saying Flash – What Flash? What is that? I never heard of it. As somebody who grew up in awe of Flash, to be around to see it end is crazy to me, but it’s also amazing to see how much technology has advanced so that we don’t need Flash anymore. What also is great about technology today is that we can do more than Flash could ever do and we can do it more easily because developing things in Flash was very complicated and time consuming. So let us not be sad about the death of Flash, but let us celebrate its death because it opens doors for better web technologies that will improve the Internet for all of us.